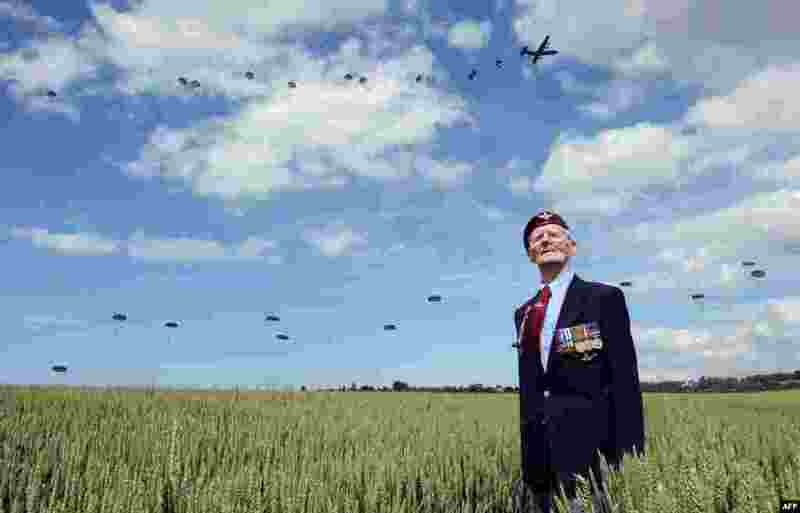 ۱ British World War II veteran Frederick Glover looks at soldiers parachuting down during a D-Day commemoration paratroopers launch event in Ranville, northern France, on the eve of the 70th anniversary of the World War II Allied landings in Normandy. 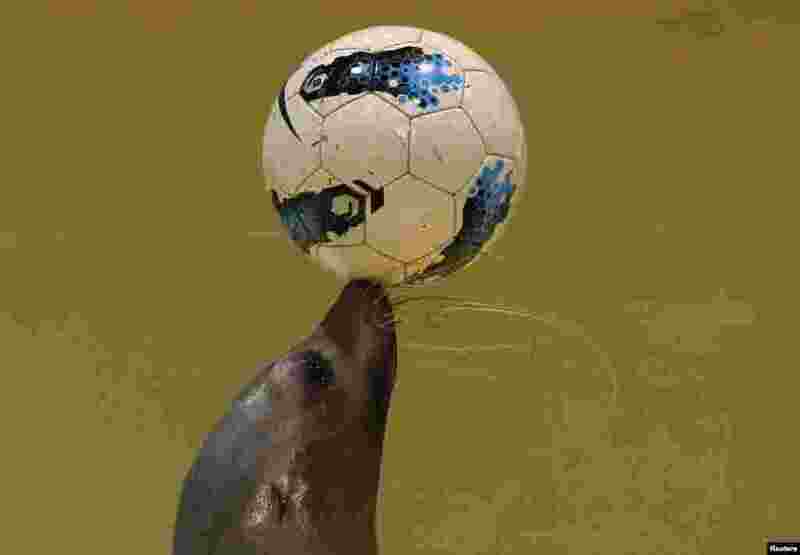 ۲ Twenty-one-year-old female seal Sarasa controls a soccer ball at the Shinagawa Aqua Stadium aquarium in Tokyo, Japan, during an event cheering for Japan's national soccer team's success at the upcoming the 2014 World Cup soccer tournament. 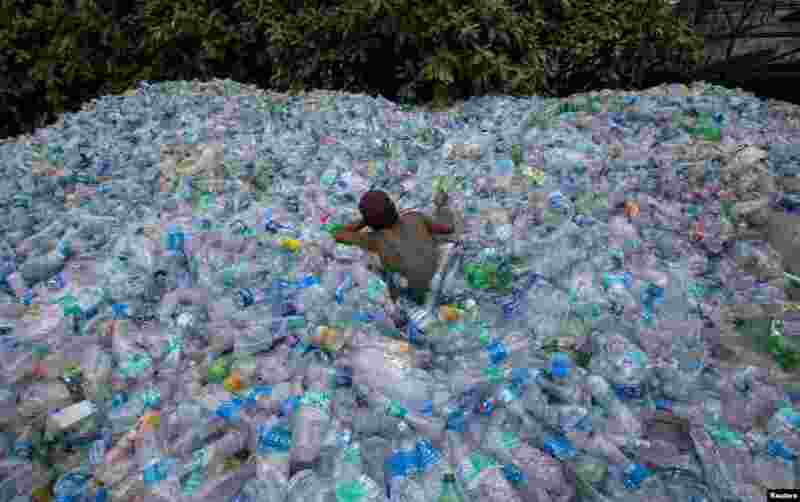 ۳ A worker uses a rope to move through a pile of empty plastic bottles at a recycling workshop in Mumbai, India. 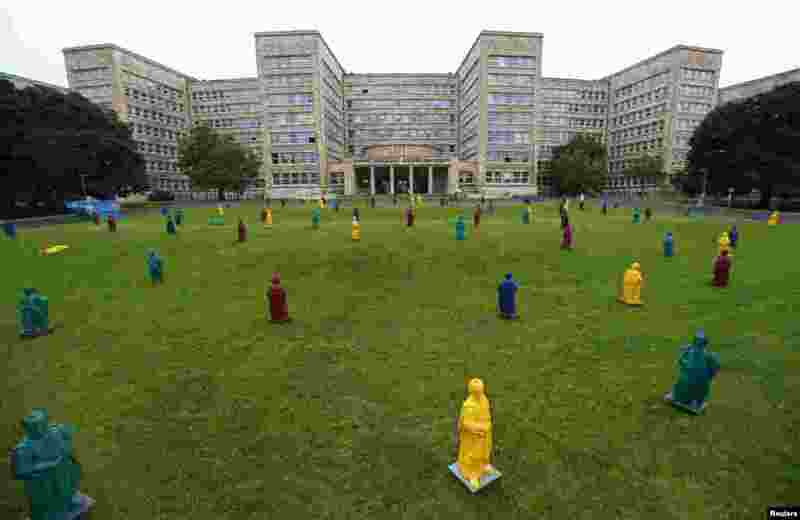 ۴ Johann Wolfgang von Goethe plastic statues, designed by Ottmar Hoerl stand in front of the Goethe University in Frankfurt, Germany. 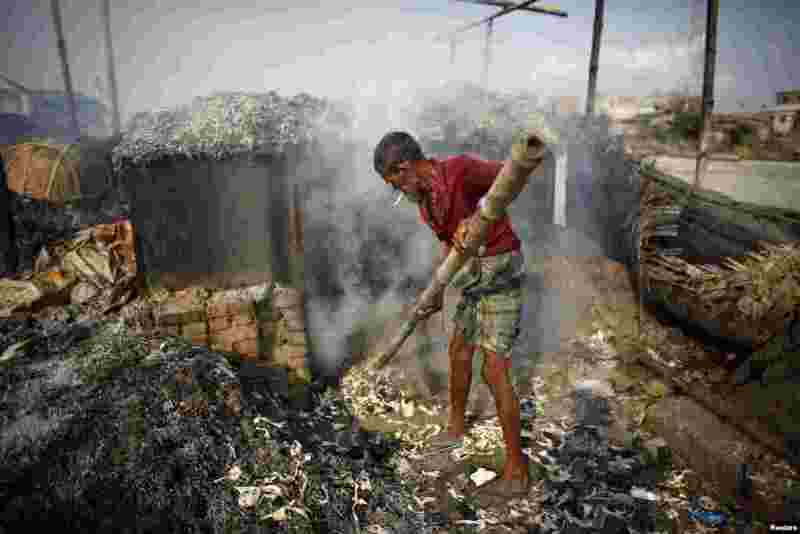 ۵ A man processes tannery wastes to make poultry feed at Hazaribagh along the polluted Buriganga river in Dhaka, Bangladesh. 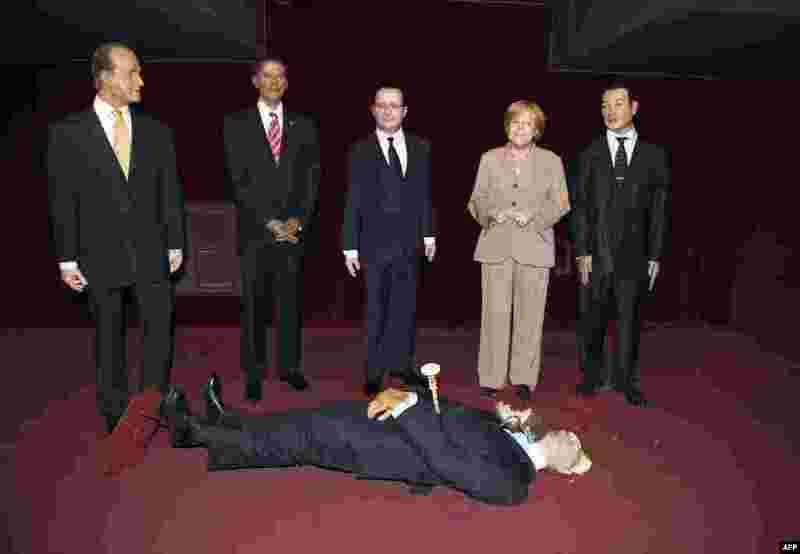 ۶ The wax statue representing Russian President Valadimir Putin, whose head was damaged by an activist of the Femen feminist group, lies on the floor next to wax statues of Spain's King Juan Carlos (L), U.S. President Barack Obama (2ndL), French President Francois Hollande (C), German Cancellor Angela Merkel (2ndR) and Morocco's King Mohamed VI (R) at the Grevin museum in Paris, France. 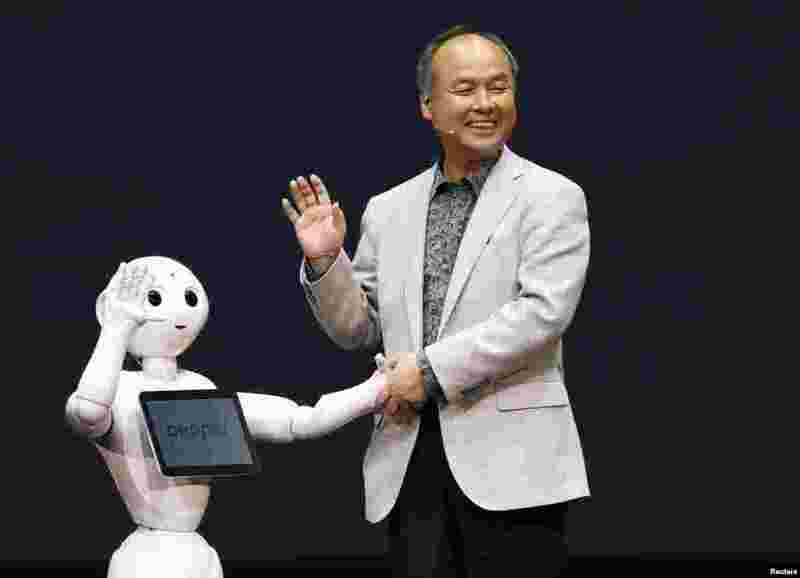 ۷ SoftBank Corp. Chief Executive Masayoshi Son waves with the company's human-like robots named 'Pepper' during a news conference in Urayasu, east of Tokyo, Japan. SoftBank Corp is developing human-like robots which will be used to staff its cellphone stores in a move aimed at expanding the mobile phone and Internet conglomerate's technological reach. 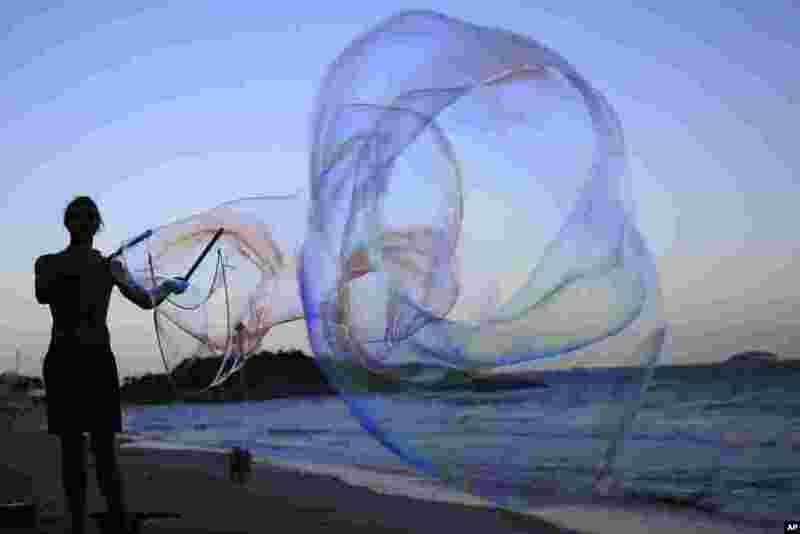 ۸ German street artist Florian Timm creates giant soap bubbles on Ipanema beach in Rio de Janeiro, Brazil, June 4, 2014.